SOFIA FREE TOUR – takes place every day from 10:00, 11:00 and 18:00h. from May till October and from 11:00, 14:00 and 18:00h from November till April. 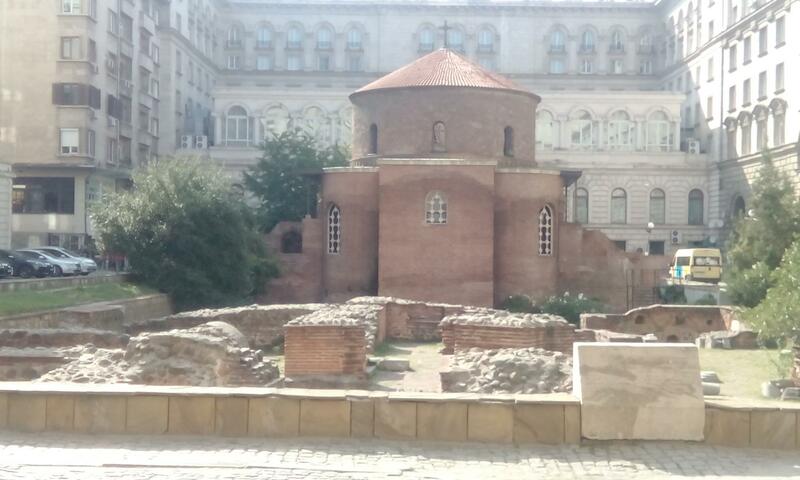 This guided tour is free for anyone wanting to visit and get to know the history and cultural sites of central Sofia. 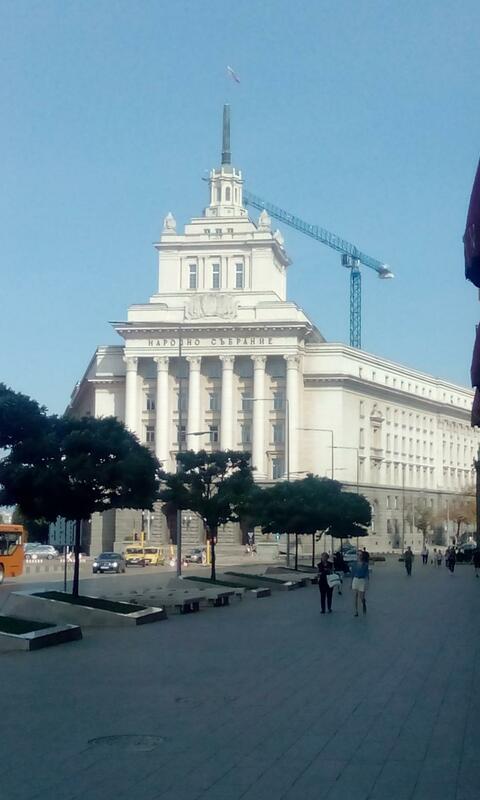 The starting point of this walking tour is in front of the National Palace of Justice. The tour has a duration of around 2 hours and is led in English. A part of the schedule includes a visit to the archeological ruins of Ulpia Serdika, the churches St. Nedelya and St. Petka Samardjiyska, St. George Rotunda, St. Nikolay Church, St. Alexander Nevski Cathedral, Tsar Osvoboditel Monument. Sites with entrance fee are not included in the schedule. You can find an up-to-date schedule here. FREE SOFIA BIKE TOURS - Explore Sofia on a bike – one of the greenest capitals in Europe! Get a bike and join the free-guided Sofia bike tour. See all famous landmarks and green parks. Free Experienced & Licensed local English-speaking Guide (volunteer)?. Donations are welcomed! If you don’t have a bike for the guided tour, you can rent one for it from Sofia Bike Rental, just for 10 leva (5 Euro) ?+ free bottle of water. Just show up and the guide will take you to the Bike rental place. Group size: from 2 up to 15 people. CITY SIGHTSEEING is an alternative for people who prefer to explore the city landmarks with a bus tour. The tour takes place every day from 12:00h or 13:00h (in spring and summer from 10:30h, as well) with a double decker bus (second deck is open), with an English guide. The starting and finishing point is the St. Alexander Nevski Cathedral. The duration of the tour is around 75 minutes. The full schedule you can find here. INDIVIDUAL GUIDED TOUR OF SOFIA (on foot or by car) – embark on a journey in our capital with a guide who will tell you the story of the city and its emblematic sites. Price: from 39 euro/person, which includes pick-up from and drop-off at hotel Favorit. COMMUNIST TOUR (on foot, by car or combined) – turn back time and get to know our not-so-distant history. 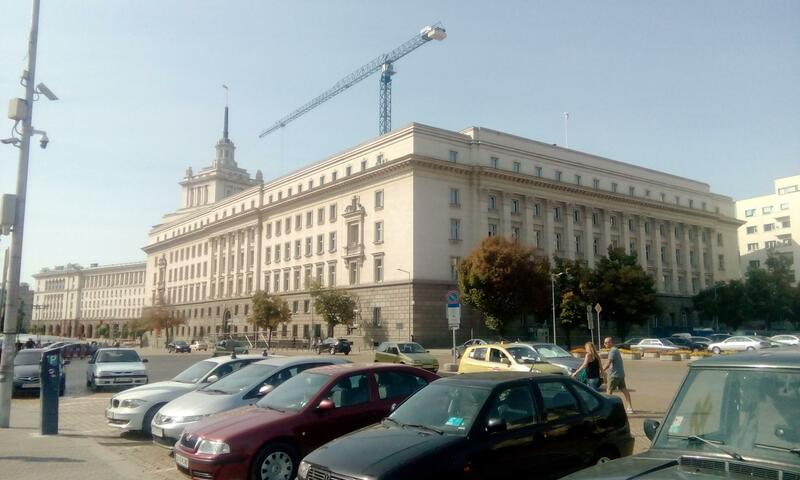 On this tour you will visit historic monuments, buildings and sites from the communist era. Price: from 35 euro/person, which includes pick-up from and drop-off at hotel Favorit. OTHER TOURS: discover Bulgarian lifestyle, cuisine and night life with some of the other tours offered by our partners. You can contact us for more information. 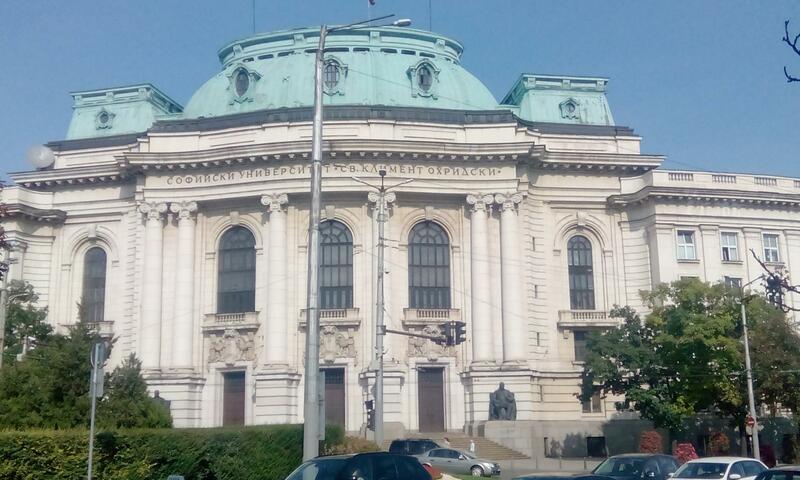 Sofia History Museum & Halite Market: After a short walk along Maria Luiza Blvd. you will reach the Central Sofia Market Hall “Halite” - a major trading centre since the beginning of the 20th century, which, after a complete renovation in 2000, reopened again. 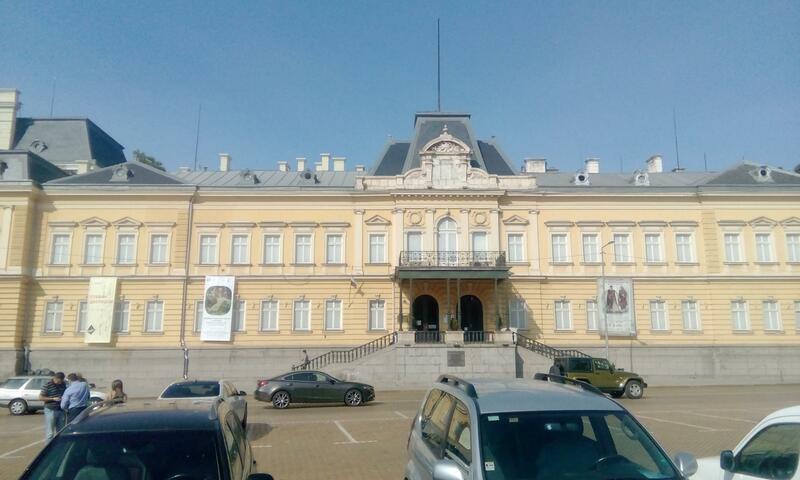 The Sofia History Museum is housed in the building of the old City Bathhouse (since 2015) after not having its own building for a long period; the permanent exhibition tells the story of the city throughout the years. Ulpia Serdika: In 2017 the newly-discovered ruins of a Roman villa and the west gate of ancient Serdika, along with other artifacts uncovered during the building of Serdika underground station, were made open for visitors. St. Petka Samardjiyska Church: The church dates to 11th century and was built on an ancient Roman ritual site. Folk legend says that here lie the remains of the most iconic fighter for Bulgarian freedom – Vasil Levski. St. Nedelya Church: This church is a preferred spot for wedding ceremonies and Christenings. Vitosha Boulevard: The most popular shopping street in Sofia. 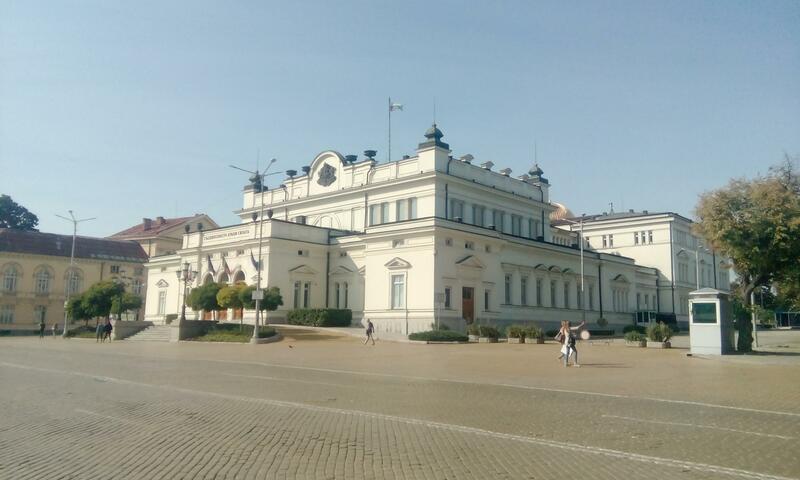 National Palace of Culture: Built for the anniversary of 1300 years since the founding of the Bulgarian state, the NPC is the biggest venue in Southeast Europe for conferences, exhibitions and special events. Sample return route to hotel Favorit: From the NPC underground station to Lion’s Bridge station in 2 stops. 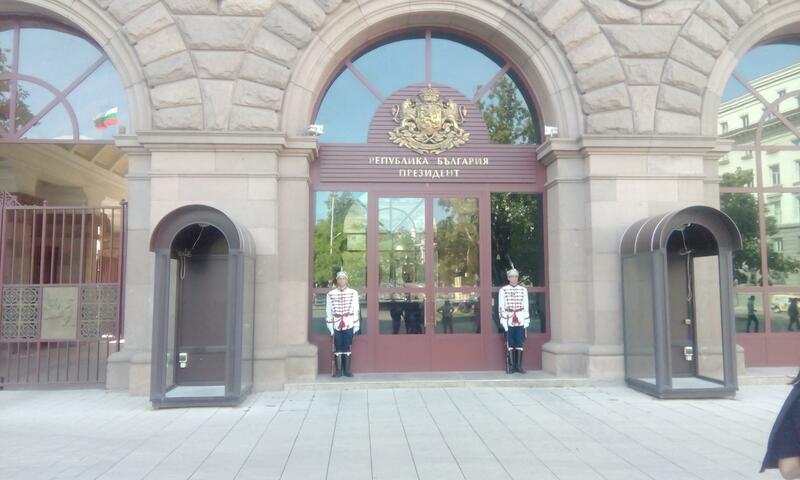 Presidency of the Republic of Bulgaria: After the archeological ruins at Ulpia Serdika (Serdika station), the Presidency is located on Tsar Osvoboditel Blvd. The guards on duty change their shift every hour. 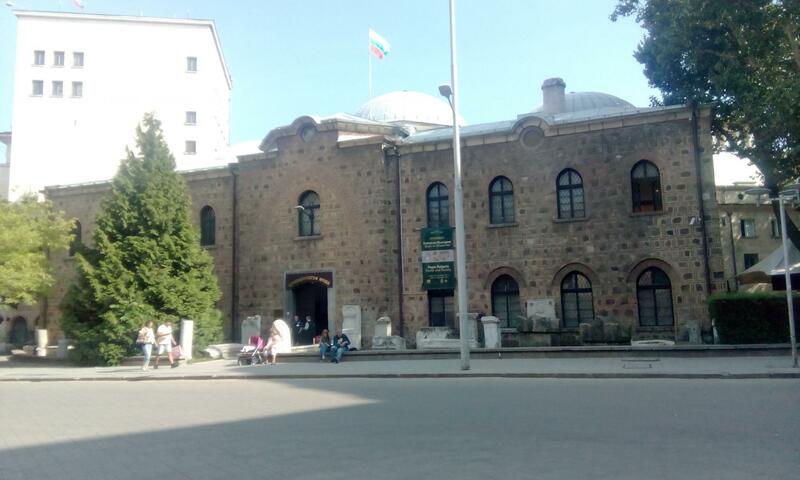 St. George Rotunda – situated in the inner court of the Presidency, this is the oldest and most well-preserved monument in Sofia from the Roman era. National Archeological Museum: Opposite the fountains in front of the Presidency, there are 5 exhibition halls with artifacts from the prehistoric, Thracian and medieval eras, as well as the richest numismatic collection in the country, featuring over 300 000 coins. City garden: In the oldest park in the capital are situated the Bulgarian National Bank, “Bulgaria” Hall, the “Ivan Vazov” National Theatre and the Sofia Art Gallery. Also, the Mausoleum of Georgi Dimitrov used to be there until 1999. National Ethnographic Museum and National Art Gallery: Opposite the City garden, in the building of the Tsar’s Palace, the museum offers one of the richest expositions on the Balkan Peninsula and there are more than 3 000 art pieces (paintings, graphics and sculptures) in the gallery belonging to famous Bulgarian artists. National Museum of Natural History: Near the Tsar’s Palace, this museum boasts the largest collection of exhibits on the Balkans. 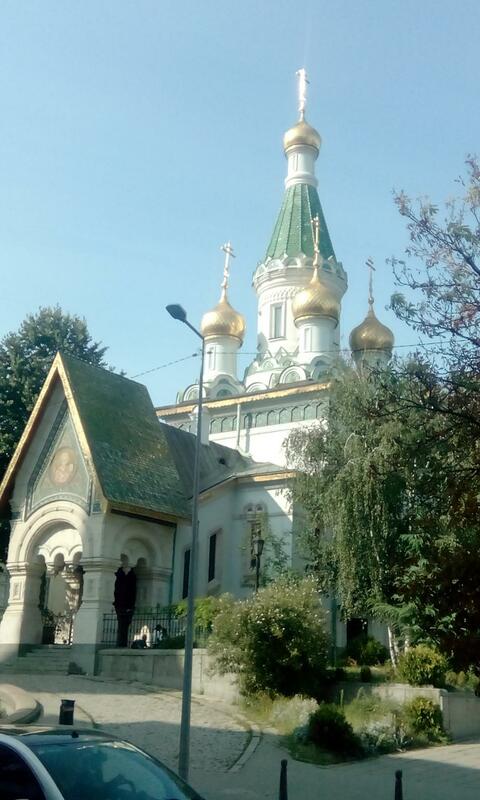 St. Nikolay Chudotvorets Church: Known also as the Russian church, this temple is among Sofia’s emblematic buildings. Its crypt contains the holy remains of archbishop Seraphim Chudotvorets, who was believed to be able to create wonders even after his death. 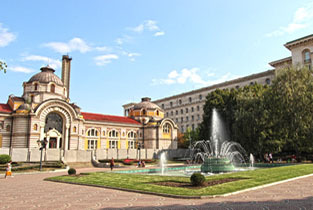 National Assembly of the Republic of Bulgaria: The Neo-Renaissance building from the end of 19th century houses the National Assembly has been proclaimed a monument of culture. Tsar Osvoboditel monument: Situated at the National Assembly square, the statue of Russian emperor Alexander II was built as a sign of gratitude to the Russian people for freeing us from Ottoman rule. 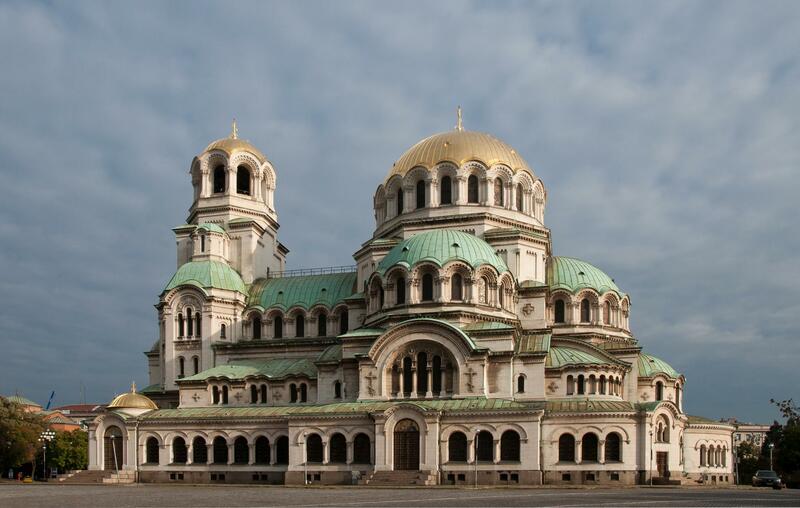 St. Alexander Nevski Cathedral: This temple is the biggest in Bulgaria and the second biggest on the Balkans and on Christian holidays holy liturgies are served there. St. Sofia Church: One of four symbols on the city’s coat of arms. It is more than 1500 years old and is among the most important cultural sites from the era of early Christianity. Monument of the Unknown Soldier: Built to honour the thousands of Bulgarian soldiers who gave their lives in the name of their motherland. The everburning flame (ignited with a flame brought from Mount Shipka) symbolizes the spiritual connection between past and current generations of Bulgarians. Some of the most significant ceremonies are held here. SS. Cyril and Methodius National Library: the biggest public library in Bulgaria. Celebrations for the Day of Bulgarian Enlightenment and Culture and Slavonic Literature are held in front of the library every year. 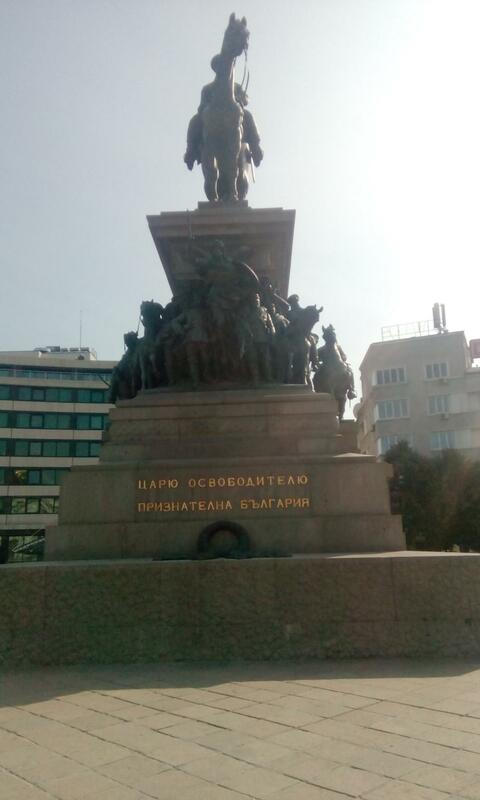 Vasil Levski monument: Levski is known as the Apostle of Freedom and every year on 19th February all Bulgarians pay their respects to honor his heroic sacrifice in the name of the motherland’s freedom and independence. 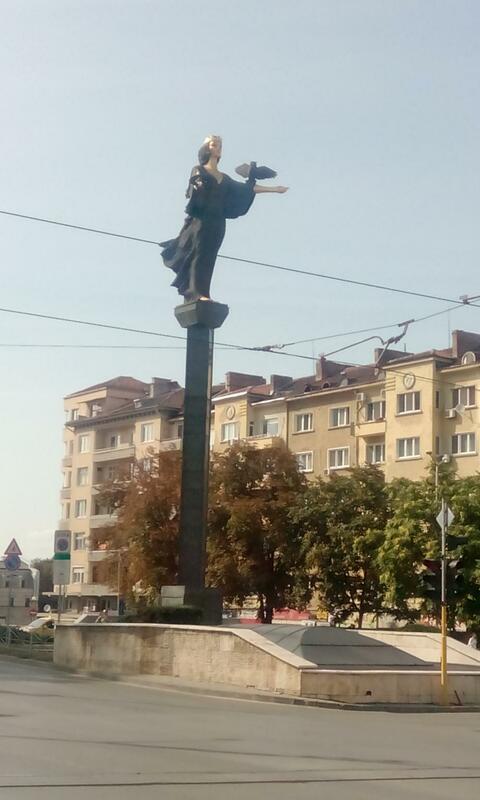 Sofia University “St. Kliment Ohridski”: The oldest and biggest high education institution in Bulgaria. Sample return route to hotel Favorit: From SU St. Kliment Ohridski underground station to Serdika 1(1 stop), swap to Serdika 2(for 1 stop;Obelya direction) to Lion’s Bridge station.